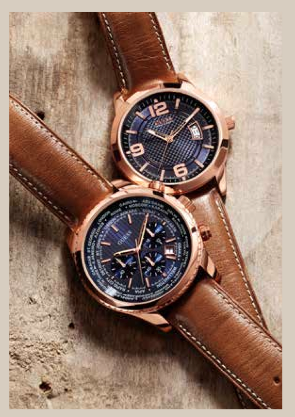 A watch is an important accessory that everyone needs. They have become more than just instruments to tell time, they are reflections of one's personality. For me, I would rather spend my money on watches more than anything. 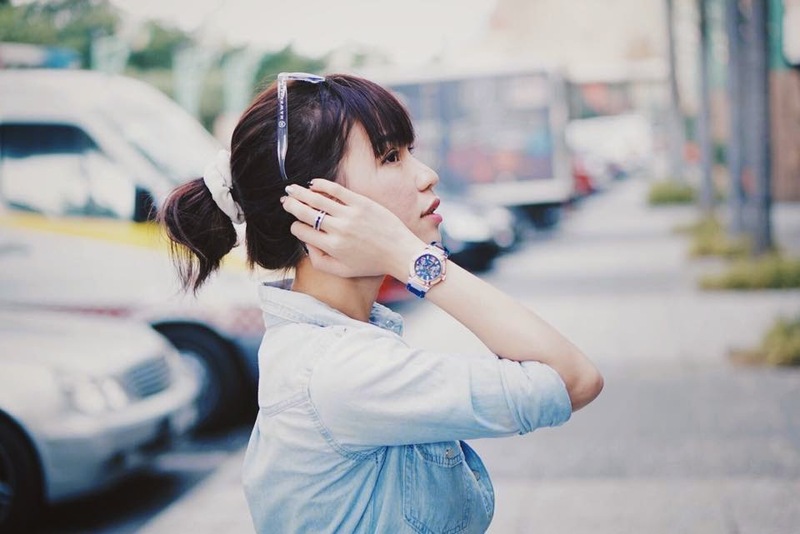 A quality watch is the quickest way of emitting a confident, successful image. 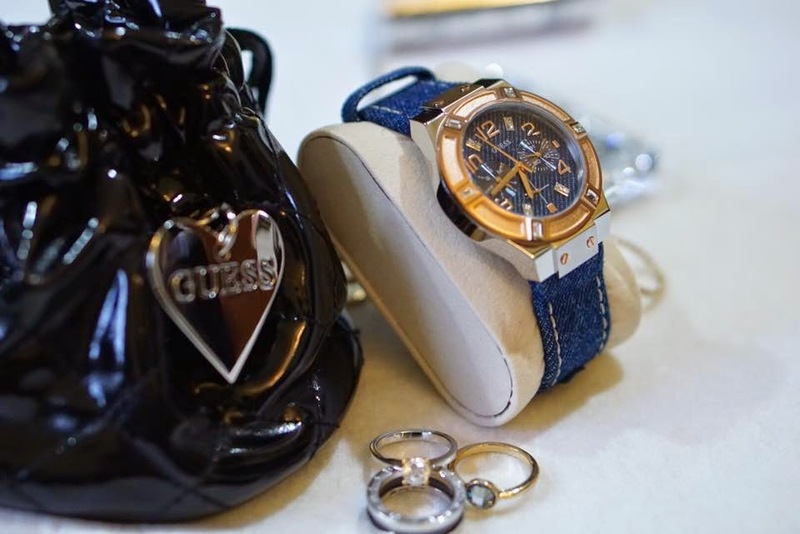 Recently, GUESS watches has come up with a collection for both men and ladies called the BLUE collection. This is the lady sport, model # W0289L1 which comes with a rose gold tone polished stainless steel case. 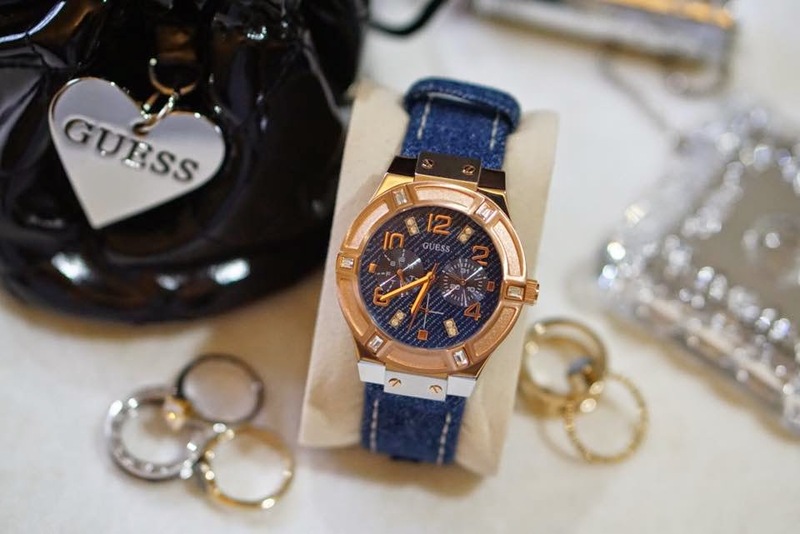 There are also some pretty crystals on the bezel which gives it a feminine touch, while the strap is made of denim and genuine leather with some white stitching for added definition. 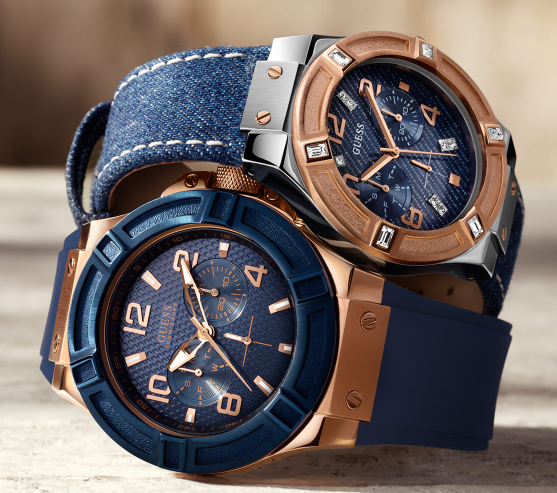 It is really unique, sporty yet classy, and definitely outstanding with the gold contrasting against the denim. 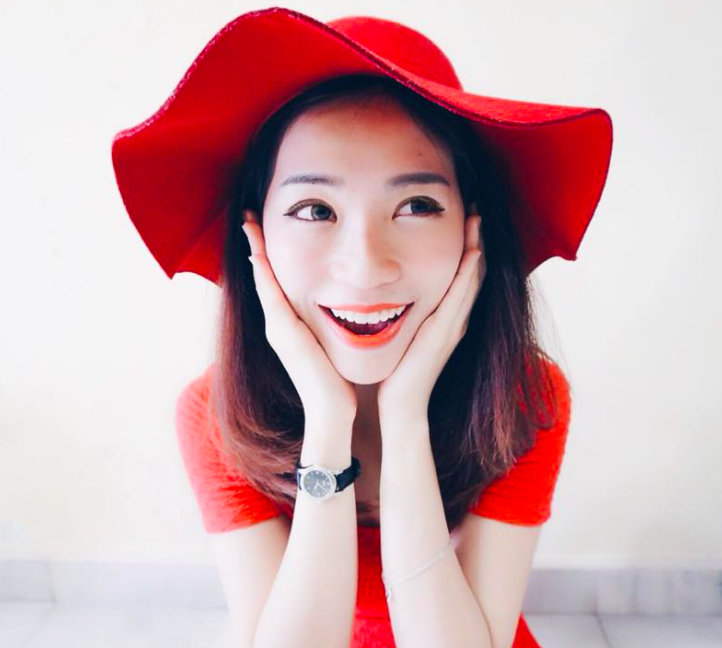 I love this timepiece the most because it really matches my style, easy to mix and match with my daily outfits. Click on this link to see more BLUE!! 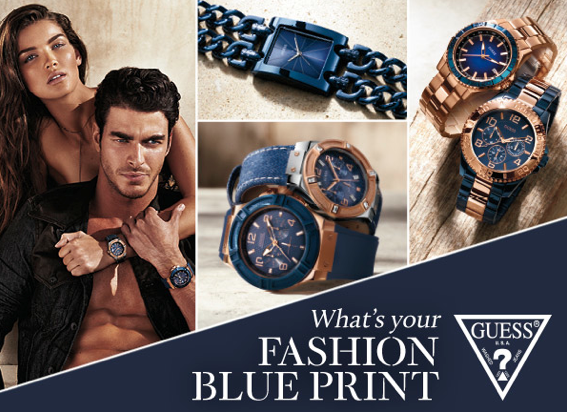 Join in the Go Blue Contest at all GUESS, GUESS Accessories and GUESS watch dealers stores! Win RM3000 Guess Cash Vouchers! Contest ends on 31 Dec, So HURRY!